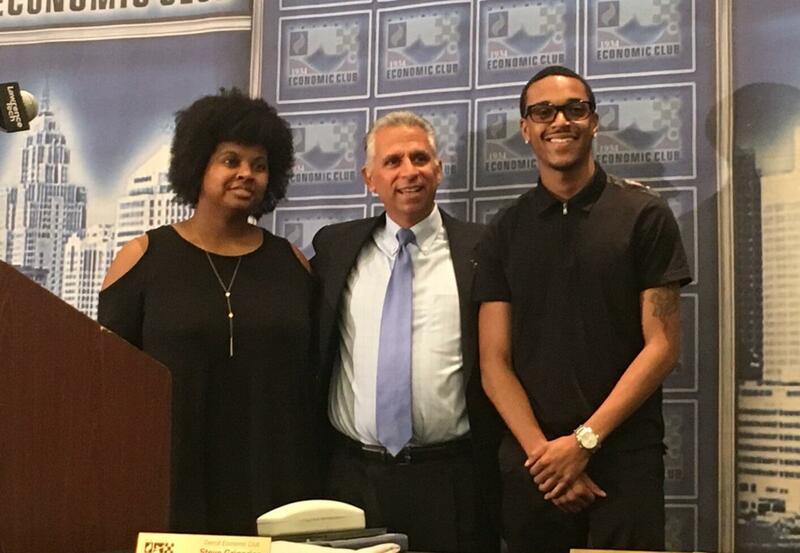 Congratulations to Clabe Hunt and Penny Richards on being the 2018 recipients of the Detroit Economic Club Scholarship! Clabe Hunt will graduate from Renaissance High School in June with a 3.78 grade point average. Clabe will attend Michigan State University in September and will major in information technology. Penny Richards will graduate from Detroit Collegiate Preparatory High School in June with a 3.62 grade point average. Penny will attend Wayne State University in September and is majoring in social work. Her goal is to earn her Masters of Social Work and use her own experiences to help others in foster care or in the workplace as a human resource manager.